Walter Raymond was born on 13 March 1852 in Vicarage Street, the son of glove manufacturer Cuthbert Raymond, although most of his ancestors had been farmers at Podimore. His father was listed in the 1866 Post Office directory. Two years after his birth Walter's mother and sister died of typhoid and Walter was sent to live with his grandparents in Marston Magna. Walter also got typhoid but made a recovery. His grandfather died shortly afterwards and Walter and his grandmother went to live in the school house with his school mistress aunt. His father remarried and Walter returned briefly to Yeovil but was very soon sent to school in Sherborne. Matilda, his stepmother, already had six children but raised Walter as her own. His father built up his own glove manufacturing business and Walter joined it around 1875 but was never really interested in gloving. In 1878 Walter met and married Mary Johnston. In the 1881 census Cuthbert and Matilda were living in the house in Vicarage street with five of their children and two domestic servants. Cuthbert, now aged 63, was listed as a 'Retired Glove Manufacturer' and the following year he moved to Southampton, leaving his house in Yeovil to Walter and Mary where they lived for the next decade. They had three sons and five daughters. The 1891 census records Walter and Mary with their eight children, a governess, two nurses, a cook and a housemaid all living in the house in Vicarage Street. Walter, now aged 39, was listed as a glove manufacturer, although by this time he was completely disillusioned with gloving. 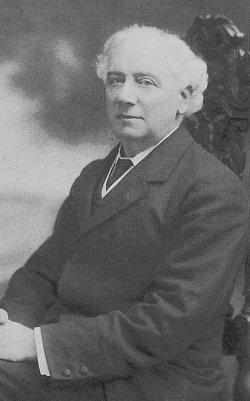 Walter had frequently had articles and poems published in local papers and in 1888 his book Misterton’s Mistake had also been published locally. In 1892, encouraged by his local successes with writing, he turned his back on gloving in order to pursue a literary career. Walter and Mary moved to Sutherland House, Preston Plucknett (to the immediate east of St James' church), where he could devote himself to country writing. His first novel, a somewhat shaky start, was Misterton's Mistake (1889), the first written under the pseudonym of ‘Tom Cobbleigh’. His next published works, all based on Somerset rural life, were Taken at His Word (1892) and Gentleman Upcott’s Daughter (1893). The latter, probably his best novel, was also written under the pseudonym of ‘Tom Cobbleigh’. In quick succession came Young Sam and Sabina (1894), Love and the Quiet Life (1894), In the Smoke of War (1895), Tryphena in Love (1895), Charity Chance (1896), No Soul Above Money (1899), The Idler out of Doors (1901), Fortune's Darling (1901), The Good Souls of Ciderland (1901), John and Jacob (1905), A School / Short History of Somerset (1906), The Book of Simple Delights (1906), Gossip Corner (1907), The English Country Life (1910), The Revenues of the Wicked (1911), A Wayfaring Soul (1913), Verity Thurston (1926) and Under the Chestnut Tree (1928). The books were very simply written with no convoluted plots or wordy descriptions. Nevertheless, his spontaneous and charming style was well suited to Somerset country life, the chief subject of his writing, and garnered him much critical acclaim. In 1905 Walter moved his family to London but also took the lease of a cottage at Withypool on Exmoor. Until 1914 he spent more and more of his time at Withypool and most of his subsequent books were written there. In 1910, after a bout of serious illness, Mary was moved to a nursing home in Southampton, where she had family, and died there in 1912. Walter then divided his time between his daughter, Gladys, in London and his cottage at Withypool. In 1915 he went to live with Gladys in Kensington and started work as a clerk in a London office. In 1917 he moved to Shanklin, on the Isle of Wight, to be near another daughter. In the meantime Gladys moved to Southampton and he spent time there cleaning at the YMCA. By 1920 he and Gladys had moved again, to Nether Stowey. He became active in the Somerset Folk Society and wrote articles for the Somerset Folk Press. Gladys returned to London and Walter moved to Street. In 1930 he had a stroke and spent the remainder of his life being nursed by his daughters in Street and Southampton. 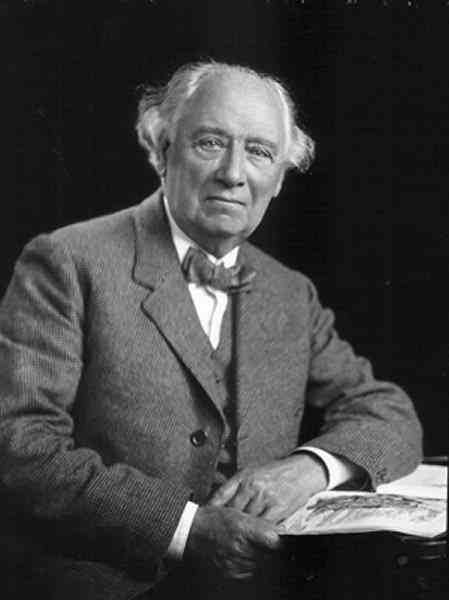 Walter died in Southampton on 2 April 1931. After cremation, his ashes were buried with his wife in Yeovil cemetery. His books have been out of print since the 1930's. The Vicarage Street house of Cuthbert Raymond in which he lived, certainly with his first wife and family, and in which Walter Raymond was born. 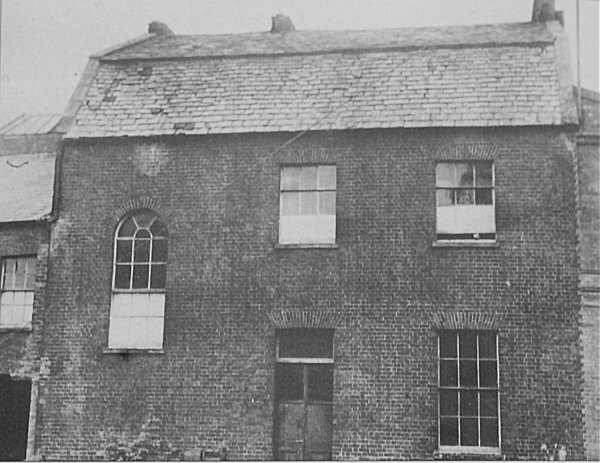 This house was next door to the Anchor Inn at the western end of Vicarage Street and was demolished in the late 1950s. Looking west along Preston Road during the 1960s. 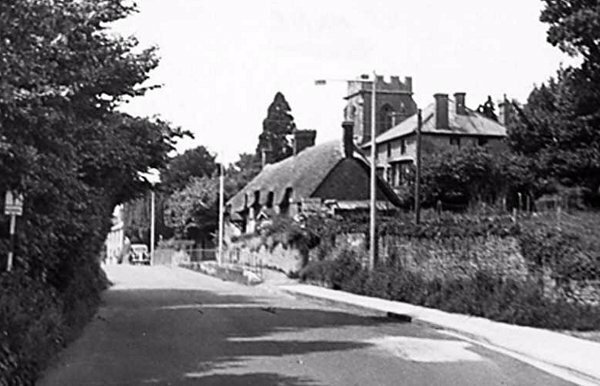 The thatched cottages were soon demolished. The large house behind the cottages was Sutherland House, home to Walter Raymond from around 1892 to 1905. 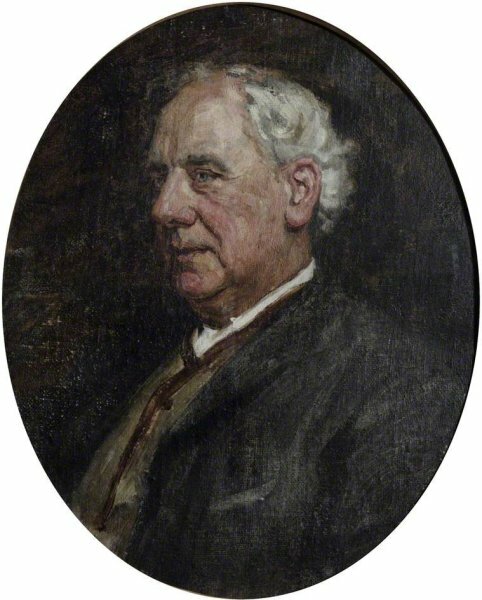 A portrait of Walter Raymond by Walter Chamberlain Urwick, painted during the 1920s. Walter Raymond: between 1890 and 1925 he wrote over 20 Novels and collections of fictionalised rural memories all set in the countryside of Somerset. 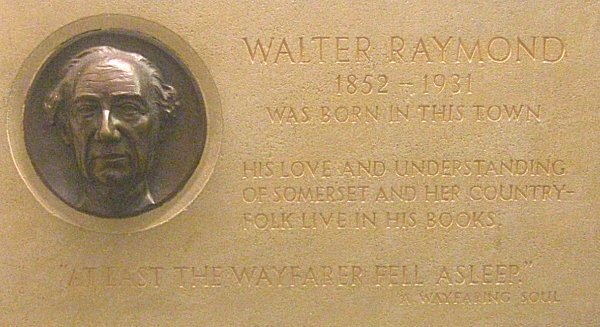 Commemorative plaque to Walter Raymond, designed by William Worrall, in Yeovil Library.